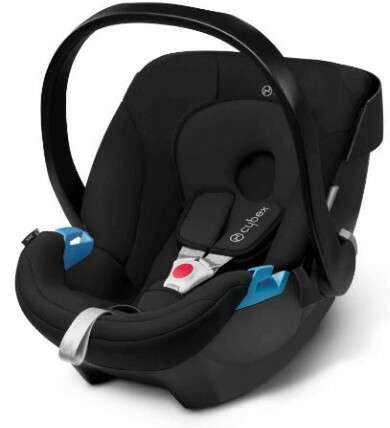 Cybex is one of those firms whose assortment is not limited to car seats but, at the same time, they are more focused on child safety than some other such firms are. They primarily produce children car seats, baby carriers, and strollers. Of course, all of the products are compatible with each other, which should help you to build your own travel system although Cybex does sell premade travel systems. Cybex is a brand known for being innovative. 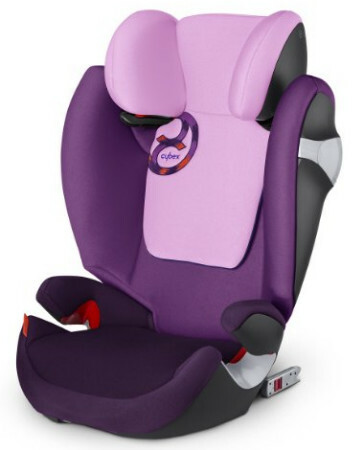 Their designs are typically unique, the safety the car seats provide is on par with the best car seats in the world, and functionality is well-thought through. This brand’s car seats have also a unique side impact protection system. Some of their products have an optimized headrest that reduces the risk of fatal injuries to a sleeping child in the event of a side impact. The Solution M-Fix is an adjustable booster seat. With other brands, it is not unusual for a convertible seat to have up to 10 positions. With this seat, your child can enjoy 12 of them. If it is true that those other seats grow with your child, it is even truer for this particular seat. The headrest is reclining and optimized to work best for sleeping children. As a rule, booster car seat designers do not consider this, do not consider preventing dangers relation to positions sleeping children can unknowingly adopt. However, the Solution’s designers have chosen to address this issue. The seat, quite naturally, is equipped with a side impact protection system. The system is optimized as well, much like the other components of this seat. It comprises several protectors with the sole purpose of absorbing energy. The shell itself can serve that purpose, too, but it is there to impend flying debris and prevent them from injuring the child. The price for the Solution is average. Booster seats, however, are typically cheaper than that, and if we are talking about booster seats specifically, then it should be noted that this seat is actually expensive. Nevertheless, the price is definitely worth it. The Aton seat has been designed with only one purpose in mind. This is a pure infant car seat. The Aton is not a convertible seat and cannot be used to transport children beyond their infancy. But that does not make it bad in any way. In fact, it can easily be called one of the best car seats Cybex makes, if not the best one. The Aton car seat is very easy to carry, which makes traveling easier for the parents. The seat comes with an energy absorbing shell and, while it can be installed with a base, it can also be installed without one, remaining just as safe at the same time. The canopy, integrated into the car seat, is capable of providing a perfect protection against the sun and ultraviolet radiation. 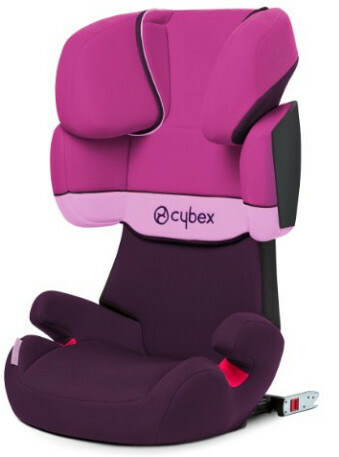 The side impact protection used by the manufacturer is the same Linear Side Impact Protection that is employed in other car seats made by Cybex. The Aton would cost you above average. The Solution X-Fix is a booster seat extremely similar to the Solution M-Fix. Nevertheless, they are still two different seats, and even their general shape is different from each other. First of all, the X-Fix is a better seat than the M-Fix, even though it has fewer adjustment positions. Instead, it comes with padded armrests for the child’s extra comfort. The X-Fix is equipped with the same L.S.P. system and optimized headrest recline as the M-fix. It should be noted that the headrest is exactly what is necessary for the child’s safety in the event of a car crash involving a sleeping child. The seat is also very easy for the child to climb in and out, which, in combination with the armrests, makes it one of the most comfortable Cybex seats. Nevertheless, the price is below average.